Well, I survived the first two seders of Passover. 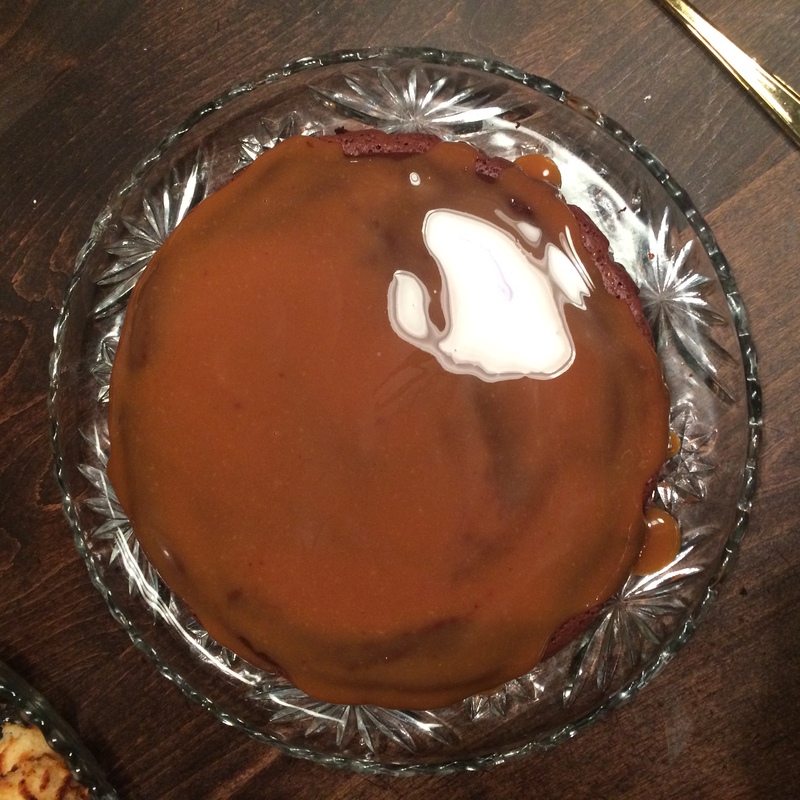 I wanted to post pictures from the desserts I made. They were amazing this year and will definitely become a regular part of Passover future. Let me refresh your memories. 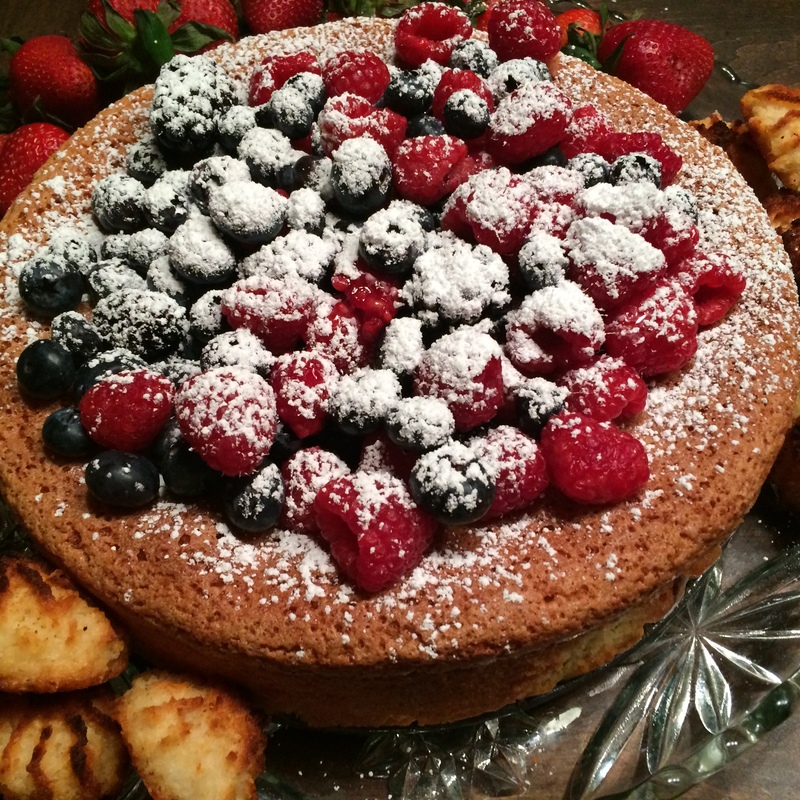 I made a Chocolate Caramel Torte and an Almond Cake with Mixed Berries. I always cook more than I need. I’m not sure if I do it because it’s just my way, if I secretly am hoping my tables will be filled with more family and friends or because I love the leftovers. This year I way over bought Matzo. I have always loved the Barefoot Contessa’s Baked French Toast Casserole Recipe, so I thought I’d adapt it to do a baked Matzo Casserole. I took a few liberties, but it was a hit! Enjoy. Pour the Melted butter into a 9X13 pyrex pan. Sprinkle brown sugar over butter. In a medium bowl beat together eggs, cream, honey, vanilla extract and kosher salt. Layer Matzo in pan, over brown sugar. You may need to break pieces to fit evenly in pan. Layer to top of pan. Pour cream mixture over matzo, slowly. When about half full, weight down matzo with oven safe glasses. Keep filling pan until cream mixture just reached the top. Refrigerate for at least an hour or up to overnight, to absorb liquid. Preheat oven to 350 and bake covered for 45 minutes. Uncover and bake for an additional 30 – 45 minutes until custard is set. Let cool for 10 minutes, then serve. You can serve straight from pan or turn casserole out onto platter. The brown sugar will flow out as a glaze. YUM!!! « Sweet Summer is on it’s Way!